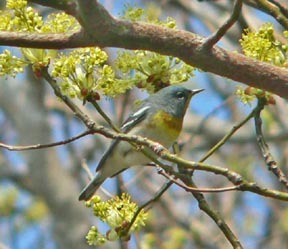 Welcome to Down East Nature Tours, the leader in birding adventures based in Bar Harbor, Maine. Michael J. Good, MS has been offering personalized birdwatching and nature tours since 1993, for individuals, couples, families and small groups. We help you discover the flora and fauna of Mt. Desert Island and Down East and northern Maine with a special emphasis on native and migratory birds such as Bald Eagles, Osprey, Peregrine Falcons, Shorebirds, Warblers, Flycatchers and more. 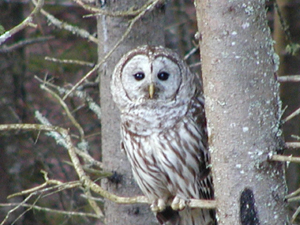 DENT has been a leader in ecotourism for the Down East Maine region, providing affordable and educational birdwatching tours for small groups by combining ornithology, wetland ecology and environmental education into a unique hands-on learning experience. The goal of DENT is to teach you to identify birds by their calls, habitat and ecology, familiarize you with environmental issues that affect flora and fauna and introduce you and your family to the wonders of the beautiful Down East coast. I help you to strengthen your field identification skills through personalized trips designed to put you in contact with uncommon species like Warblers, Black-backed Woodpeckers or Razor-bills as well as Eagles, Peregrine Falcons, Neotropical migrants and Pileated Woodpeckers. We also offer personalized birdwatching tours throughout the migratory pathway of Neotropical birds. These areas include but are not limited to Mt. Desert Island, across Maine, Cuba and Ecuador. Michael is open to new pathways to explore, please call with your ideas. Here at Three Pines Bird Sanctuary, we are protecting an important wetland habitat for Neotropical migrants such as Canada Warblers and Northern Waterthrush as well as Wood Thrush and American Woodcock. Our unique and ecologically important forested wetlands are home to all of these species and I welcome you to explore this and other habitats on Mount Desert Island with me.